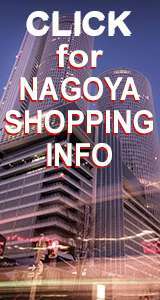 Nagoya is blessed with some great museums that are worth a look. Alongside art and cultural collections, there are tech, science and automotive museums too. The following are some of the Nagoya's best. Showcasing the Maglev system this great museum can be appreciated whether a train buff or not. On display are whole trains from different eras, and there are several simulators visitors can try. OPEN: 10am - 5:30pm, closed tuesdays. FEE: Adults 1000 yen, students 500 yen. LOCATION: TOURIST MAP B-8 Near Kinjofuto Station on the Aonami subwayline. Located on the 10th floor of the Nagoya Arts Center in downtown Sakae this spacious space has a variety of different artwork and display. OPEN 10am - 6pm, Closed Monday. FEE: Adults ¥500, Univ & HS Students ¥300. A small art museum near the Science museum in Fushimi. A great place to learn about the Toyota car company and the history of automobiles. There are hundreds of beautiful classic and contemporary cars on display. Check about their popular factory tour too. OPEN: 9:30am - 5pm, Closed Mondays. FEE: Adults 500 yen, HS Students 300 yen, Junior 200 yen. Learn science at this fun museum with hands on exhibits as well as the world’s biggest planetarium. 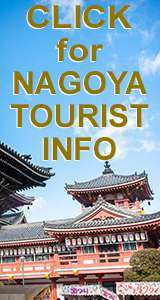 FEE: (Museum only): Adults ¥800 (¥400), HS/Univ Students ¥500 (¥200), JR HS and under Free. This private museum of Japanese art and culture preserves the treasures of the Tokugawa family - the first family to unite all of Japan under one power. FEE: Adults ¥1200, HS Students ¥700, Elementary students ¥500. LOCATION: a short walk from Morishita station, or take bus from Sakae.